As always, letting you know where I sit before you know where I stand - Retired DoD analyst, Ph.D. in international relations, currently teaching security studies at university. 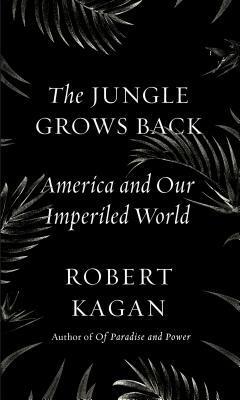 First, nothing that Kagan says is really surprising to anyone that has been paying attention over the last thirty years. The Cold War ended and, with the exception of the 1990s, didn't have the results that everyone hoped for. Even Fukuyama has taken back his statement that we have reached the end of history. Where Kagan excels is walking those that are not familiar with the history, such as most of my students, or were not observing them through this period. He notes that despite the optimism expressed by the end of the Cold War, it had the roots of September 11th, Russian revanchism and the rise of populism. Finally, he makes what will be an unpopular argument for a more activist and militant US foreign policy and what it means if the US continues the retreat into isolationism that started with the Obama Administration. Sign into Goodreads to see if any of your friends have read The Jungle Grows Back.